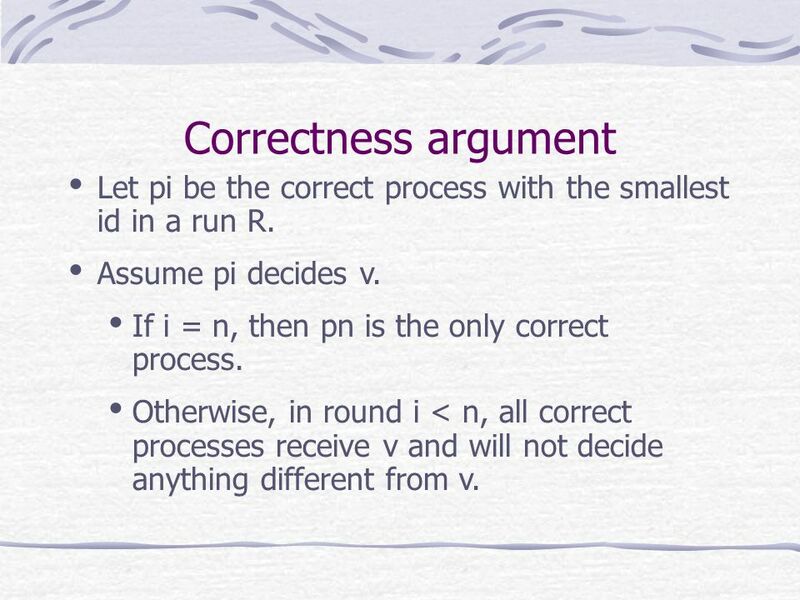 16 Correctness argument Let pi be the correct process with the smallest id in a run R. Assume pi decides v. If i = n, then pn is the only correct process. 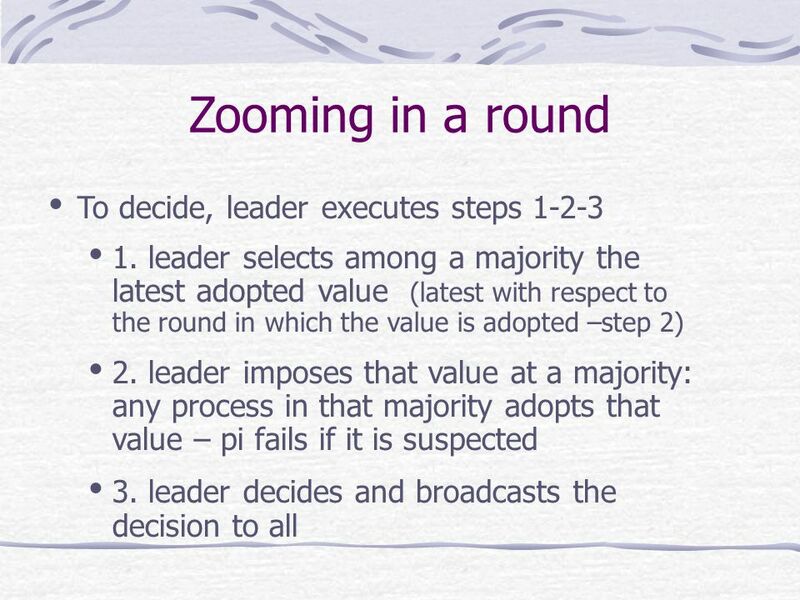 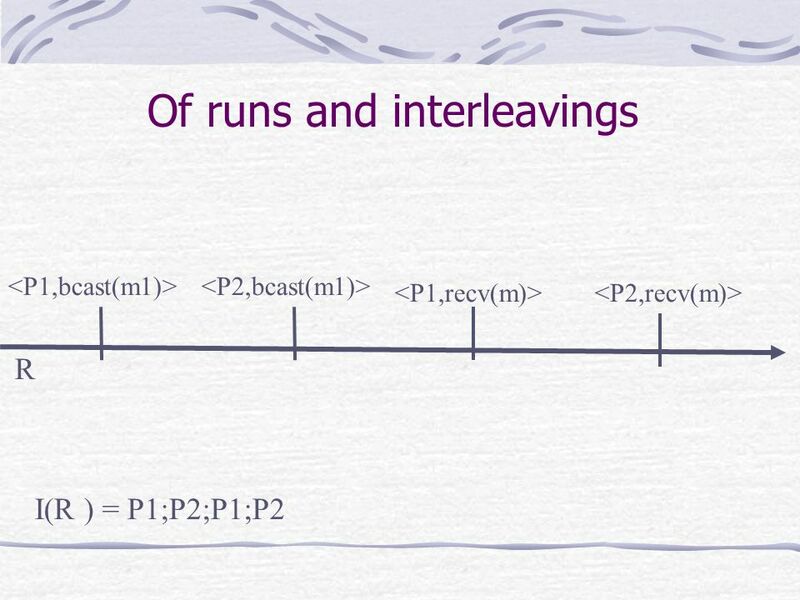 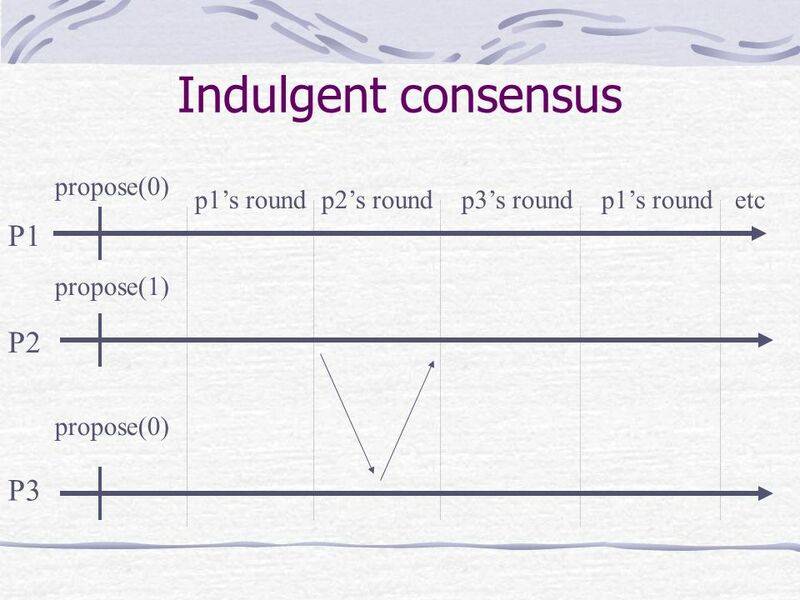 Otherwise, in round i < n, all correct processes receive v and will not decide anything different from v.
34 What about other problems? 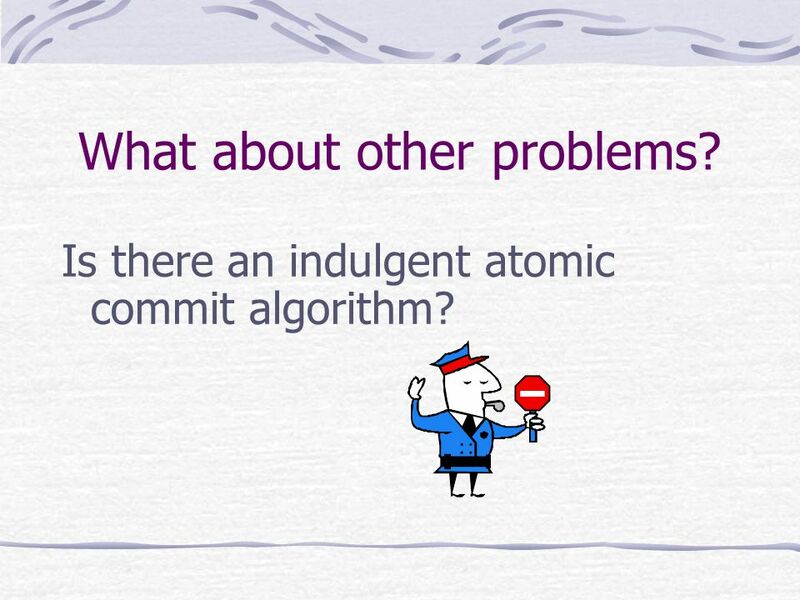 Is there an indulgent atomic commit algorithm? 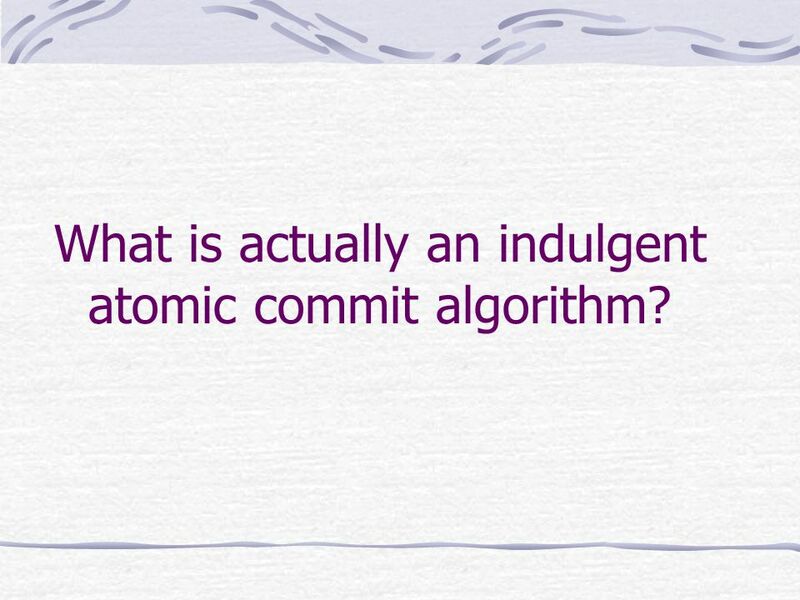 35 What is actually an indulgent atomic commit algorithm? 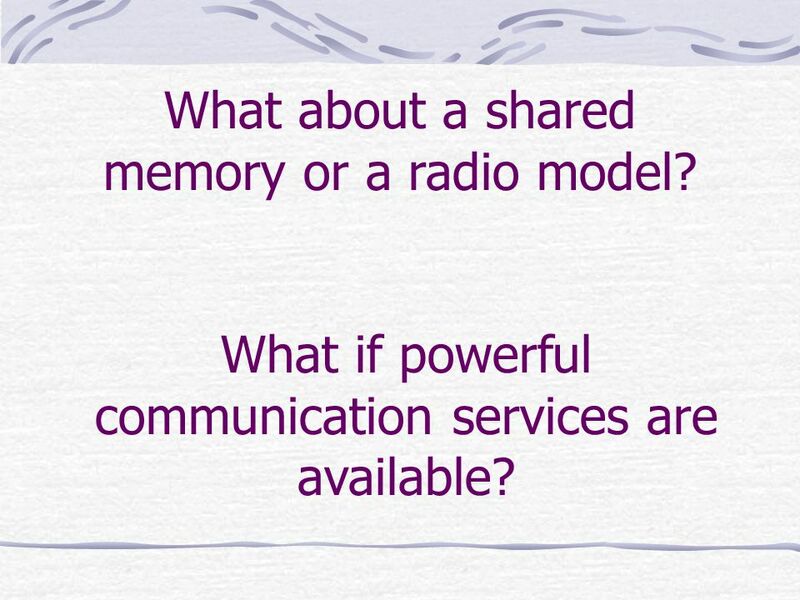 38 What about a shared memory or a radio model? 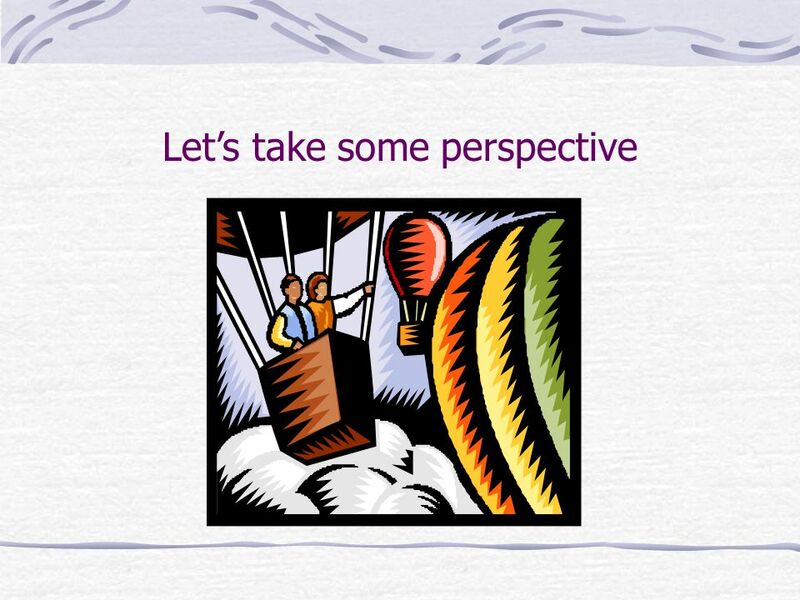 What if powerful communication services are available? 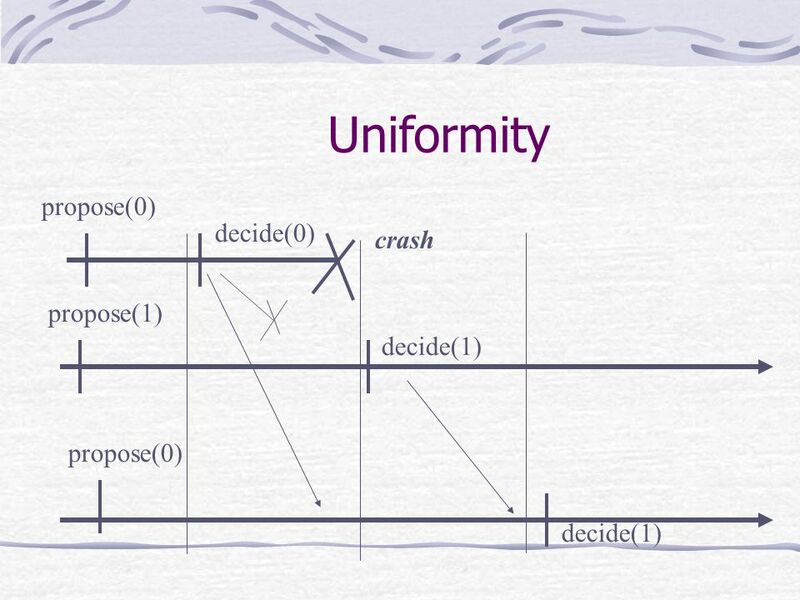 40 What about ordering properties? 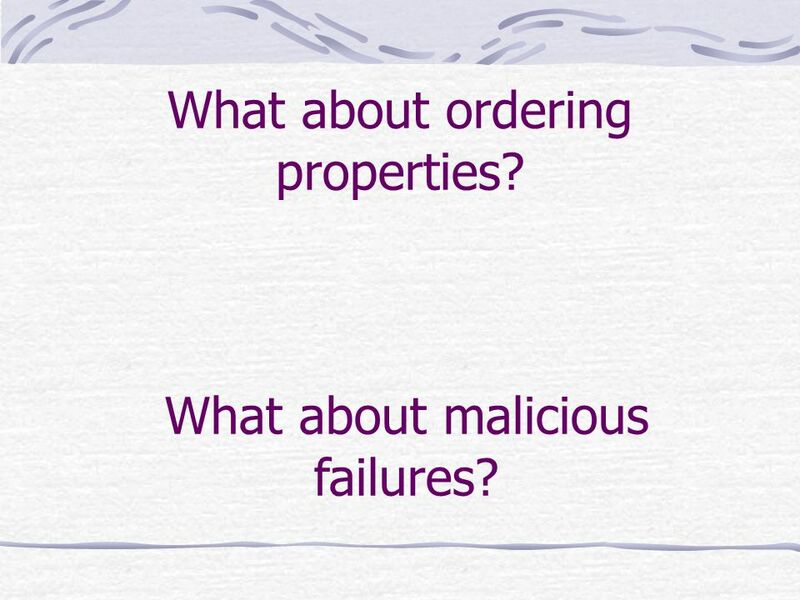 What about malicious failures? 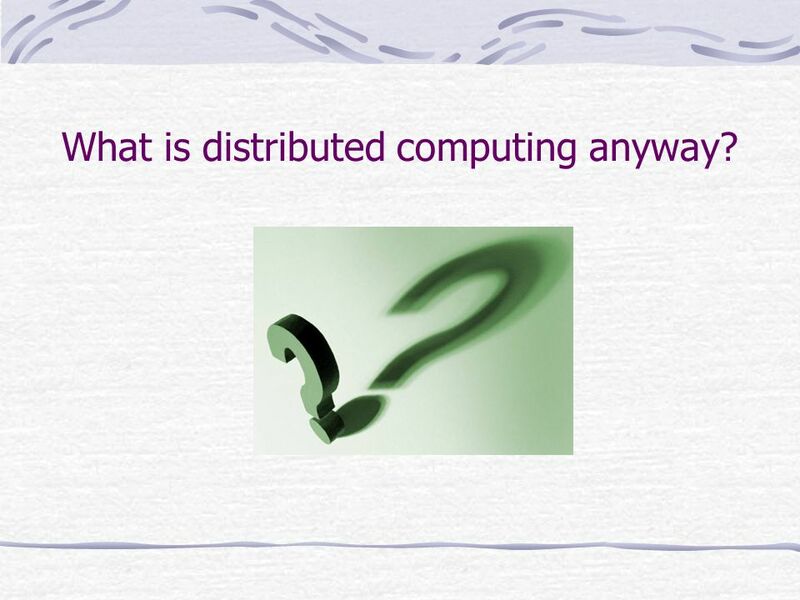 46 What is distributed computing anyway? 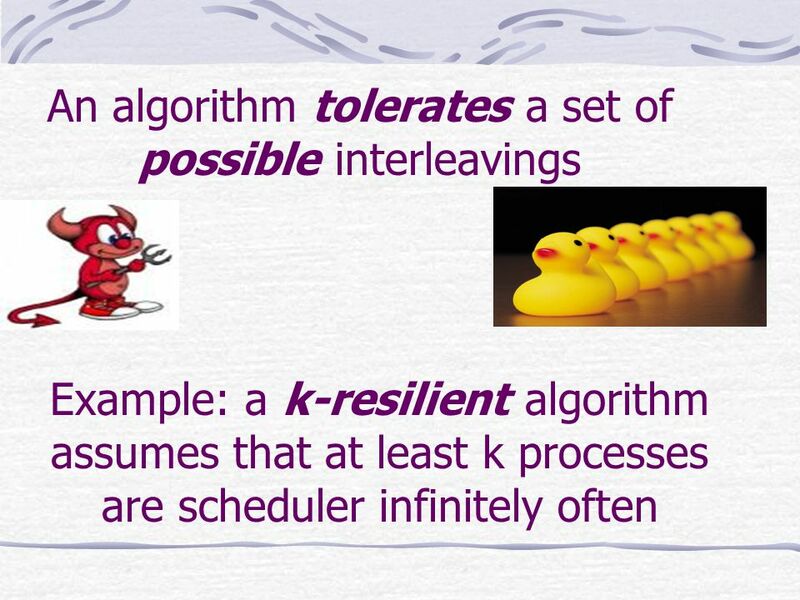 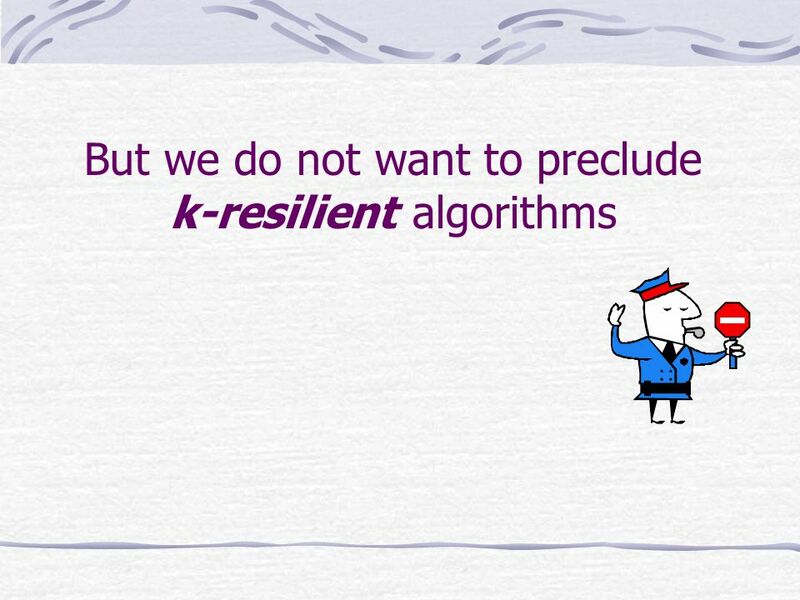 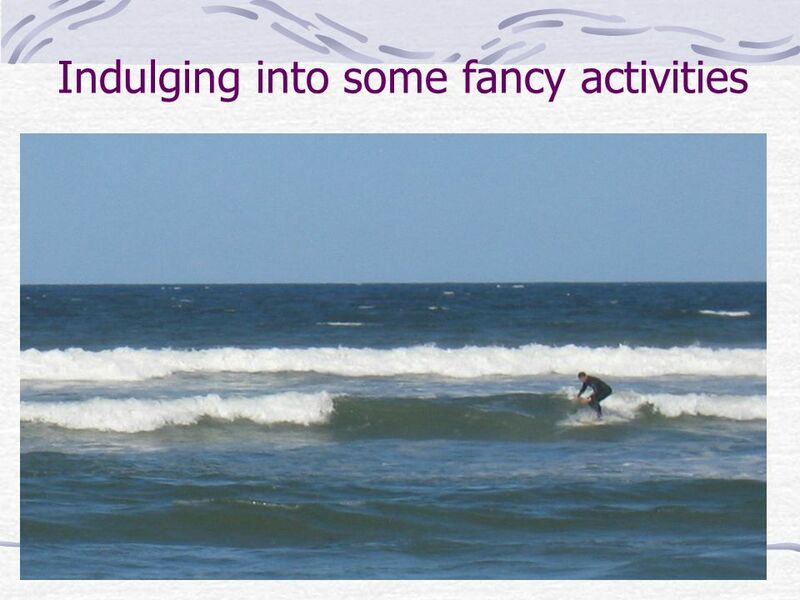 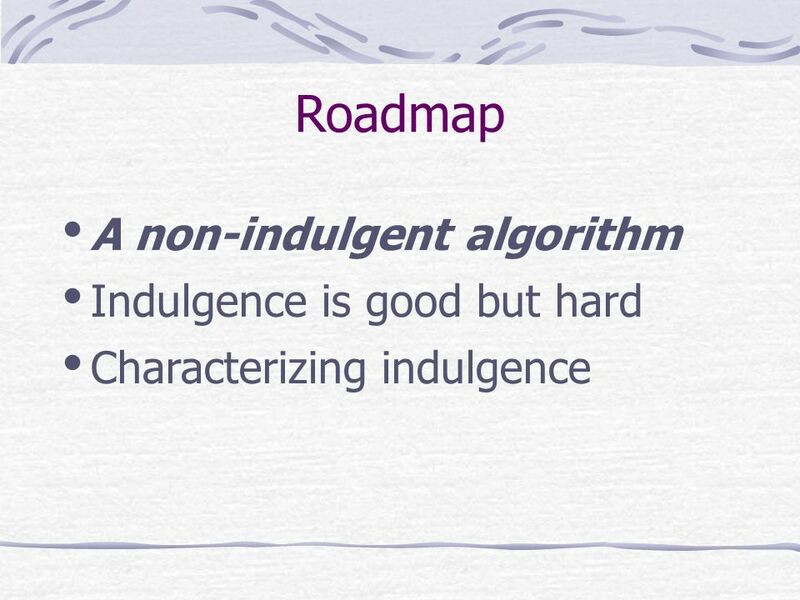 61 How to capture indulgence without precluding t-resilient algorithms? 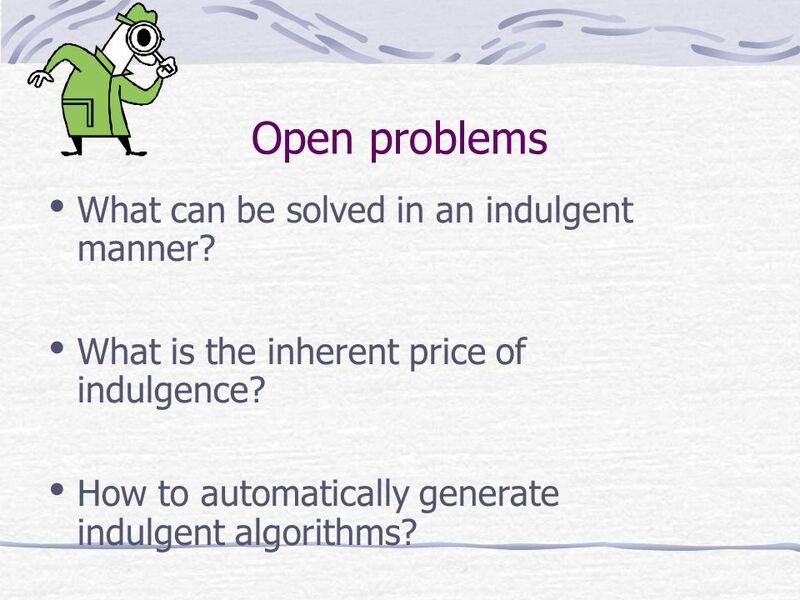 67 Open problems What can be solved in an indulgent manner? 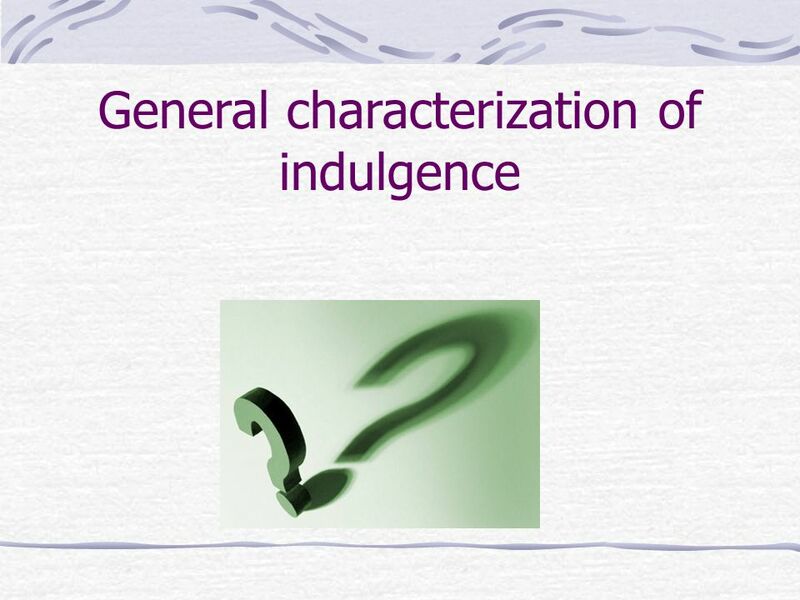 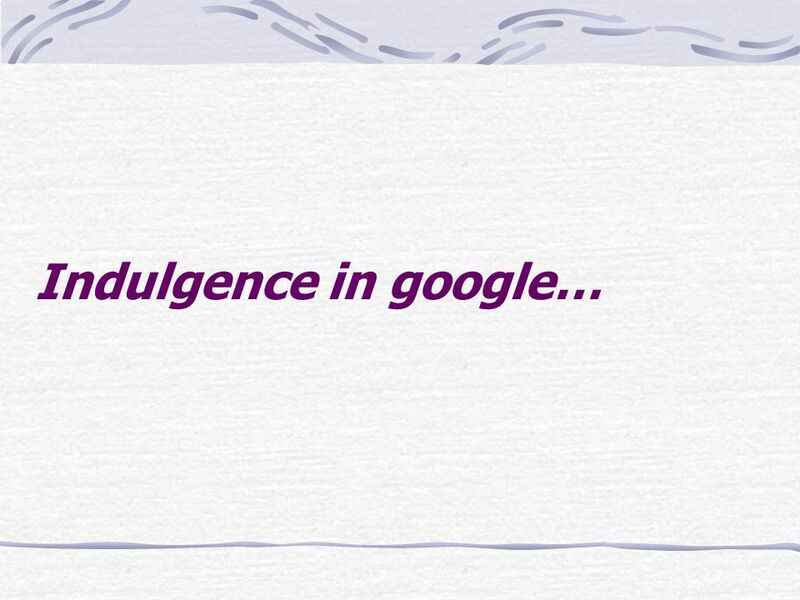 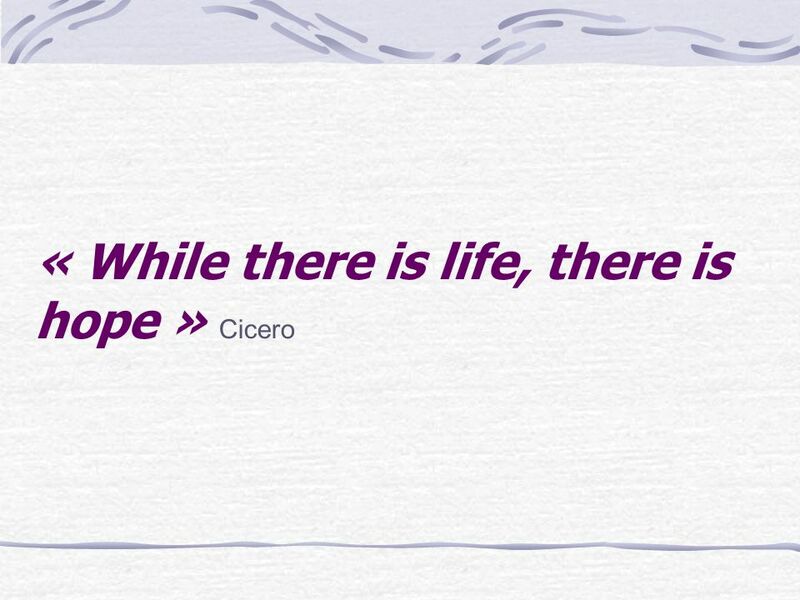 What is the inherent price of indulgence? 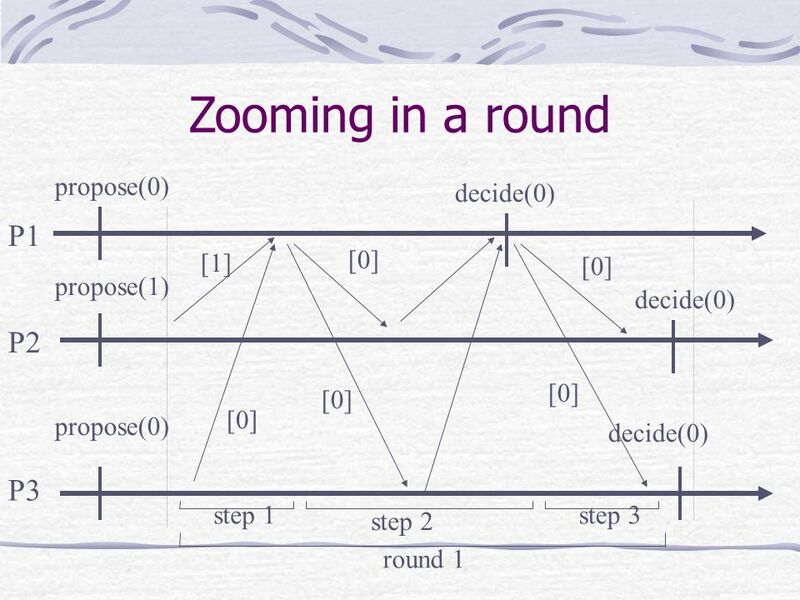 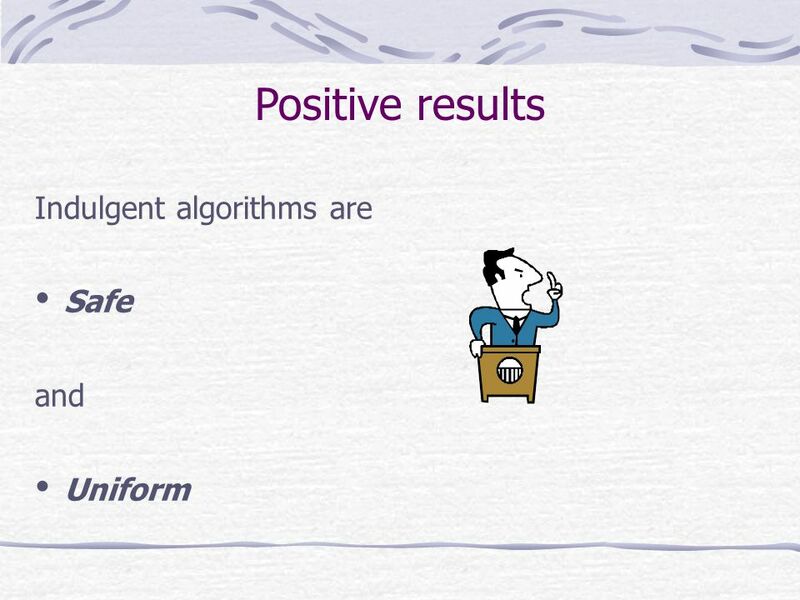 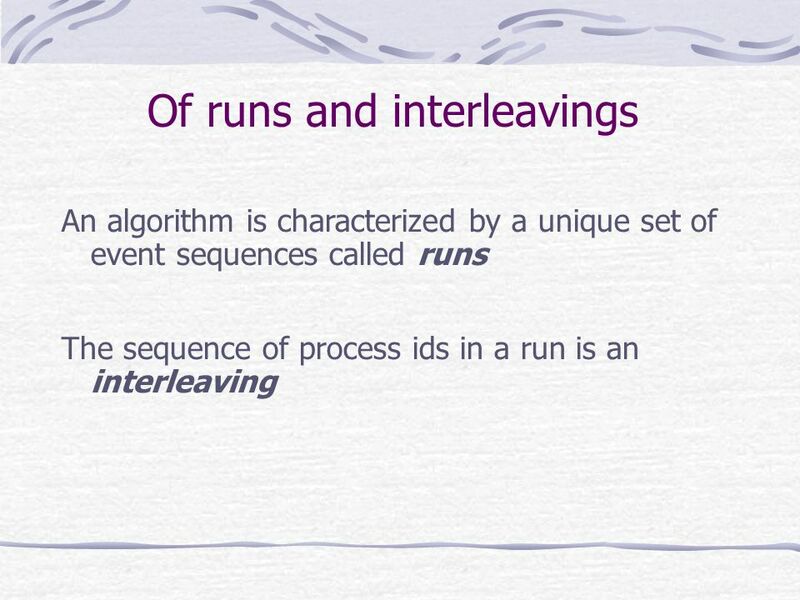 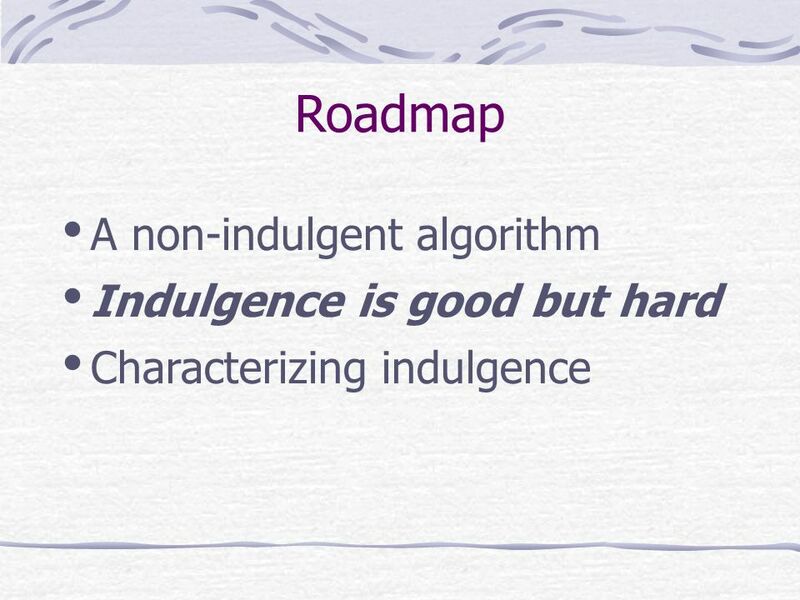 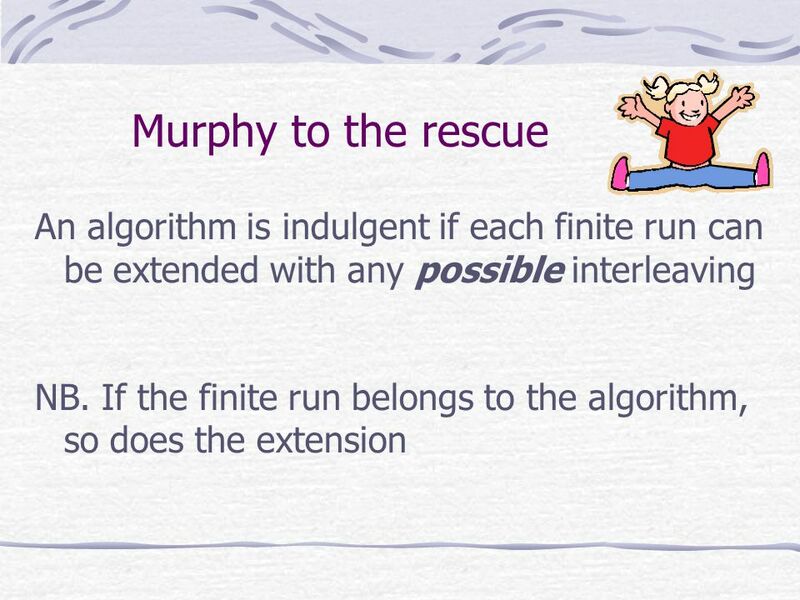 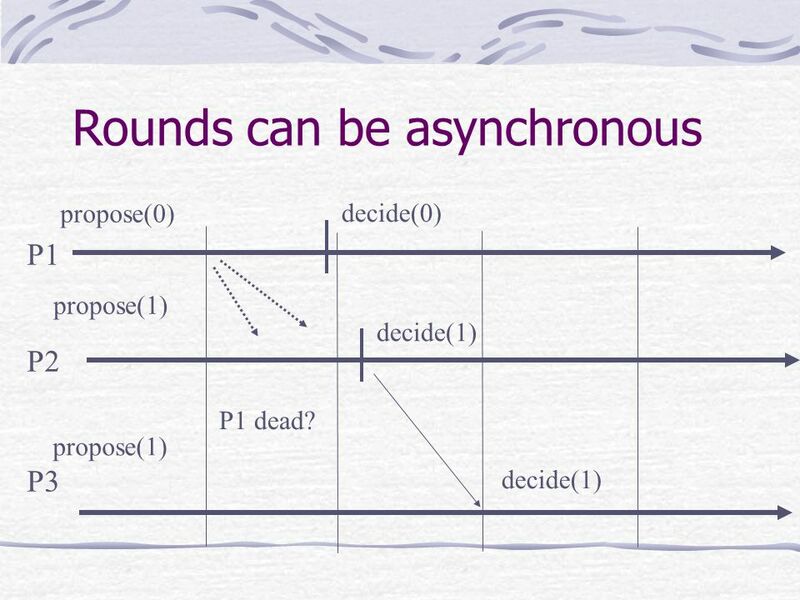 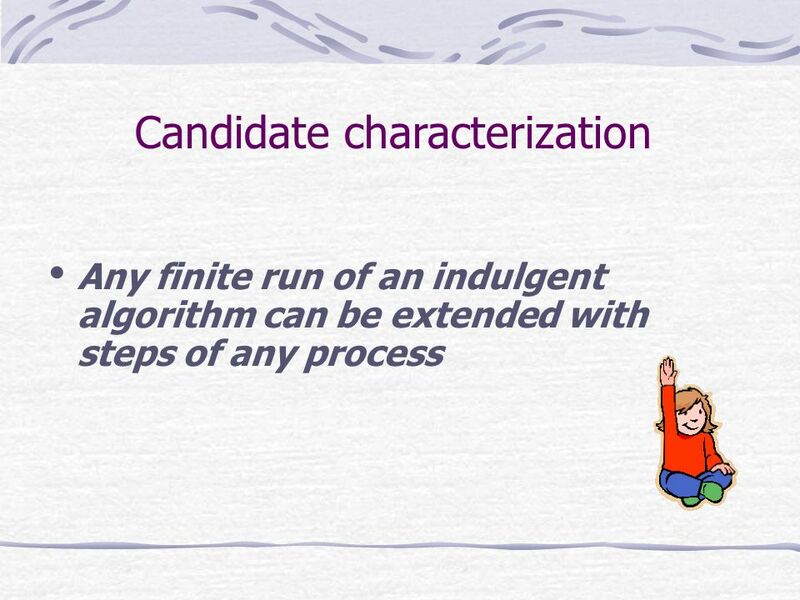 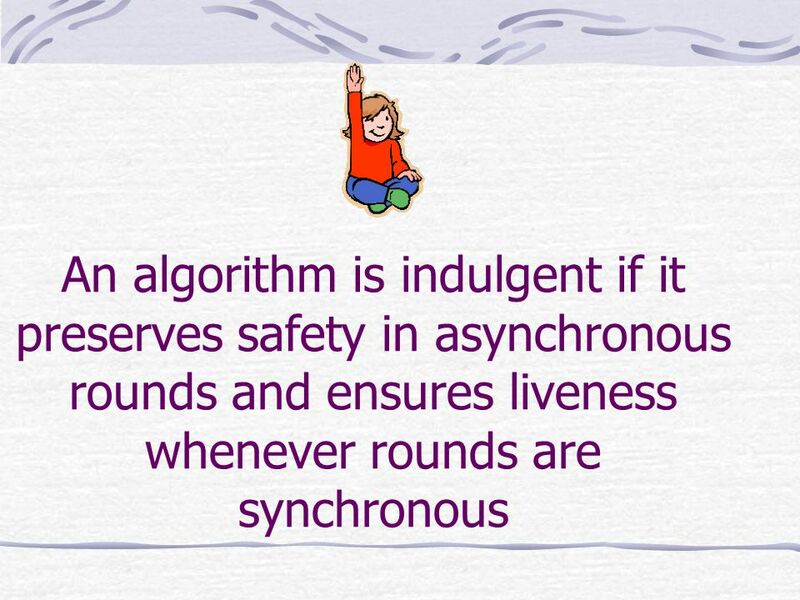 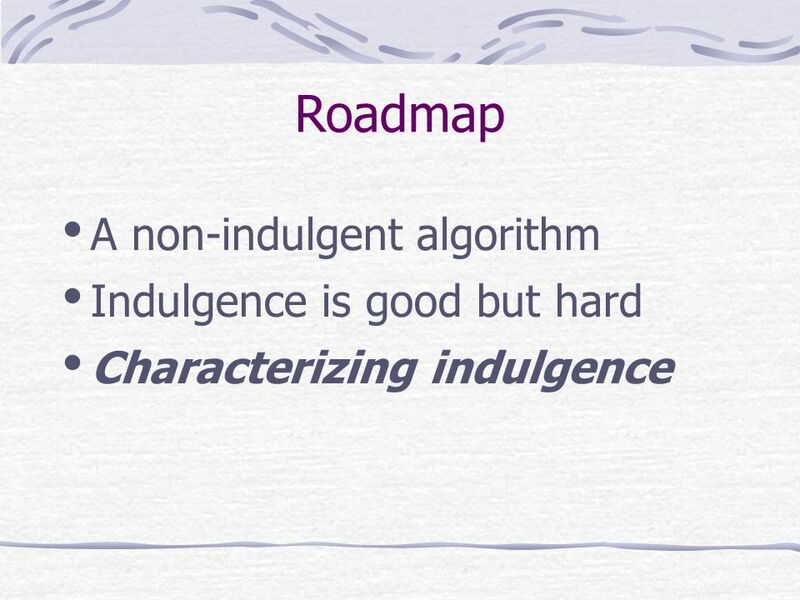 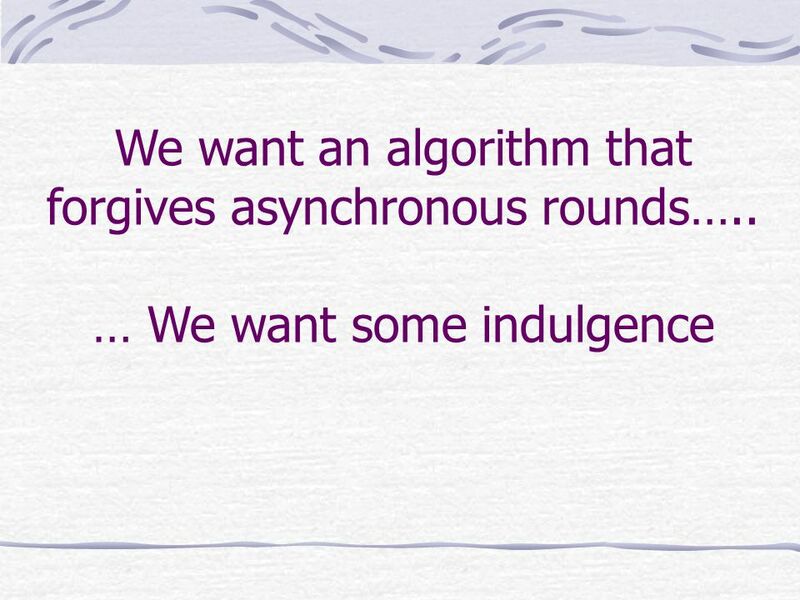 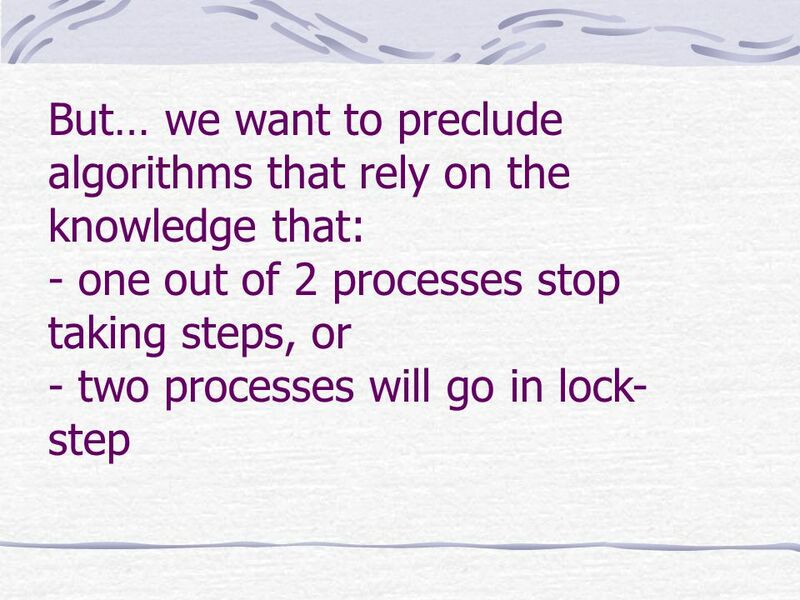 How to automatically generate indulgent algorithms? 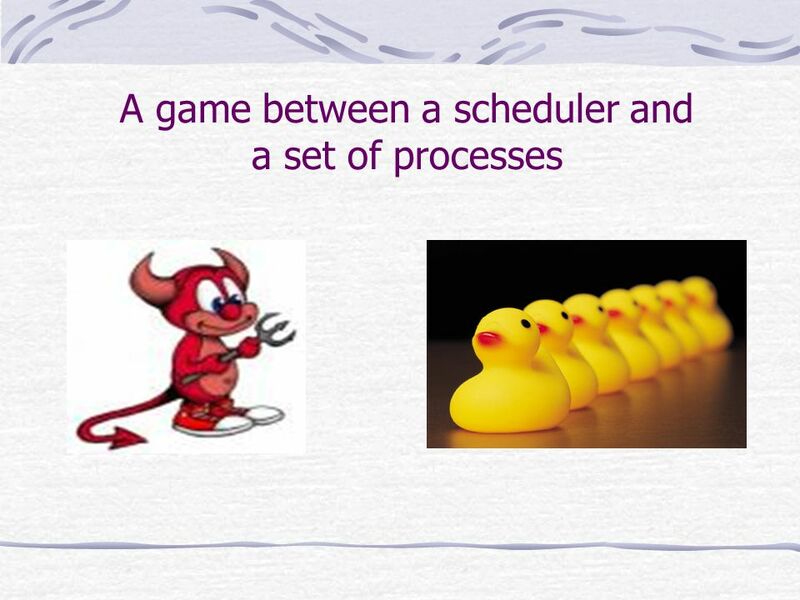 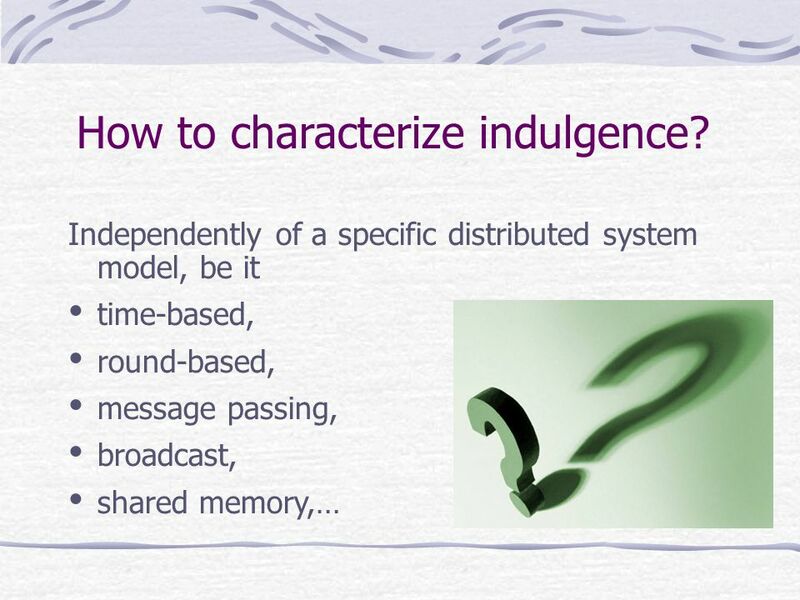 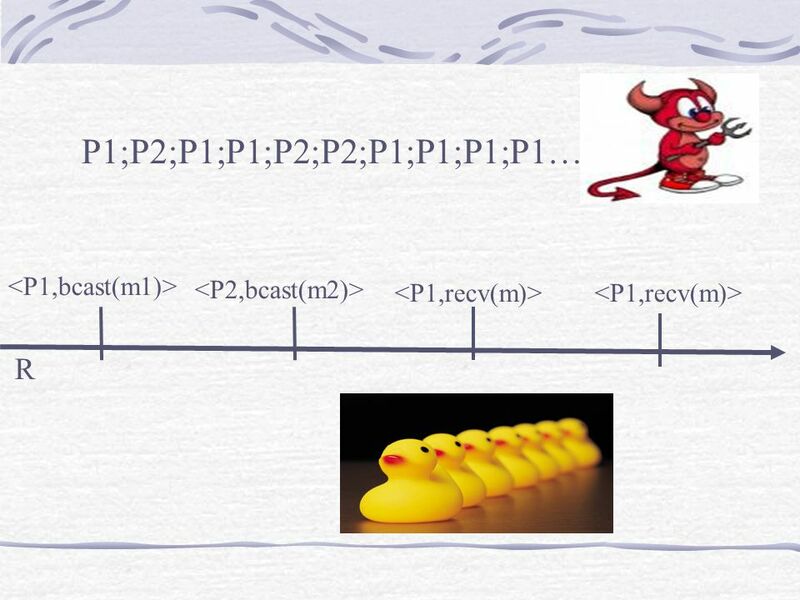 Download ppt "A General Characterization of Indulgence R. Guerraoui EPFL joint work with N. Lynch (MIT)"
Distributed systems Total Order Broadcast Prof R. Guerraoui Distributed Programming Laboratory. 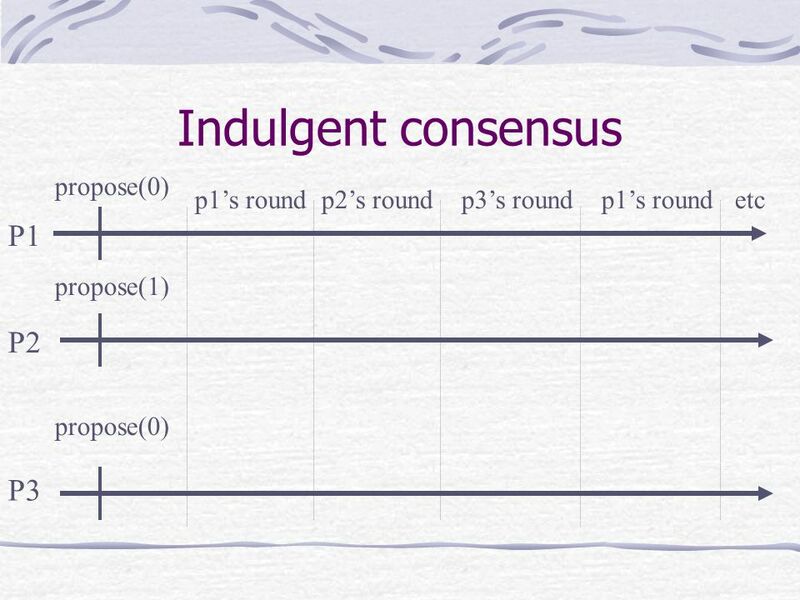 N-Consensus is the Second Strongest Object for N+1 Processes Eli Gafni UCLA Petr Kuznetsov Max Planck Institute for Software Systems. 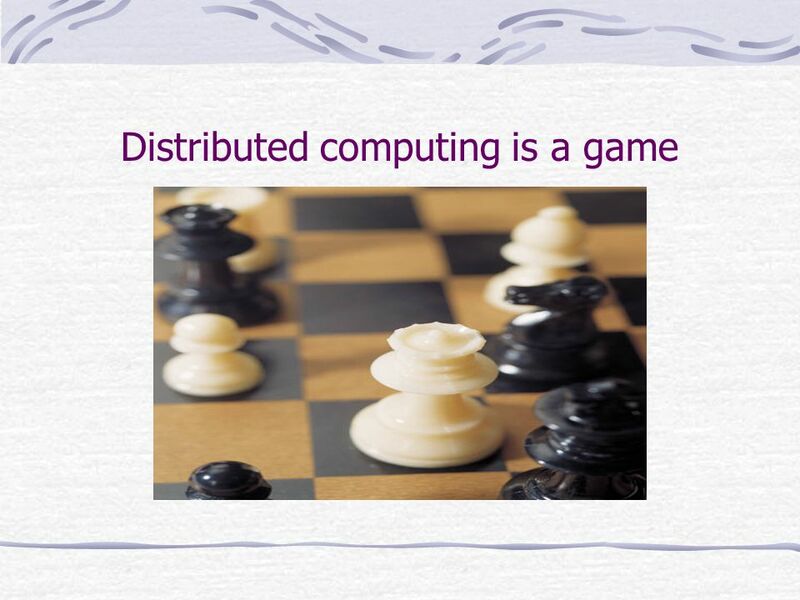 CS 542: Topics in Distributed Systems Diganta Goswami. 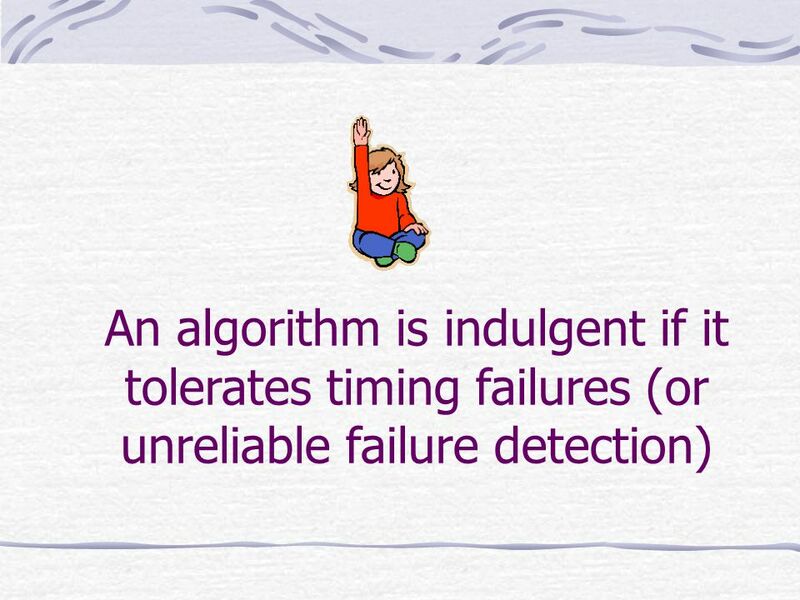 The weakest failure detector question in distributed computing Petr Kouznetsov Distributed Programming Lab EPFL. 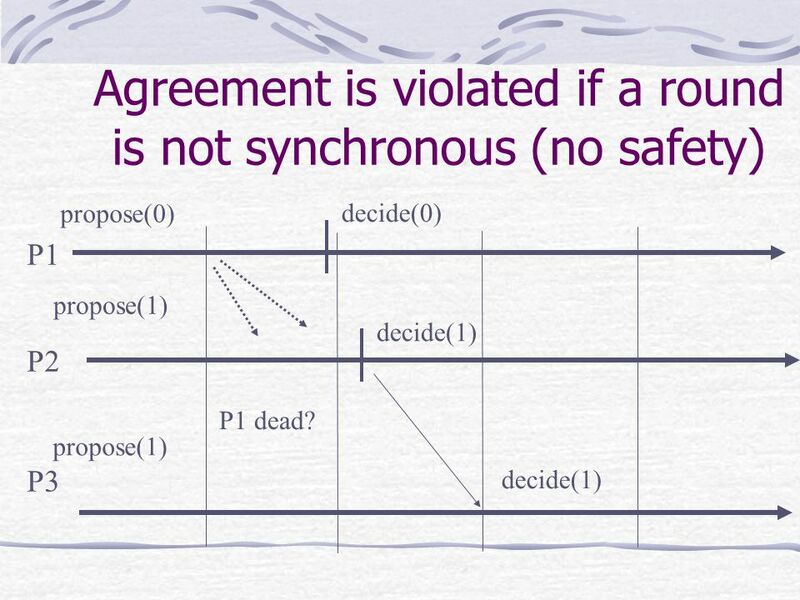 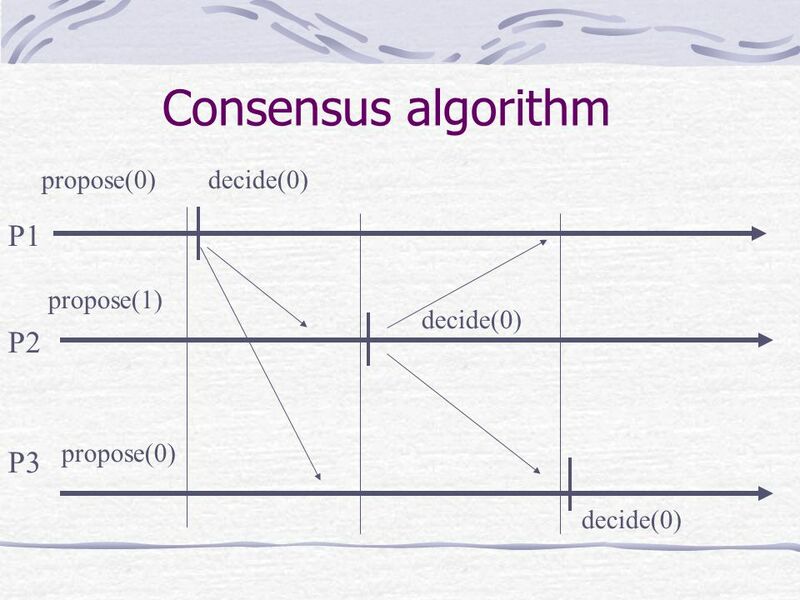 IMPOSSIBILITY OF CONSENSUS Ken Birman Fall Consensus… a classic problem  Consensus abstraction underlies many distributed systems and protocols. 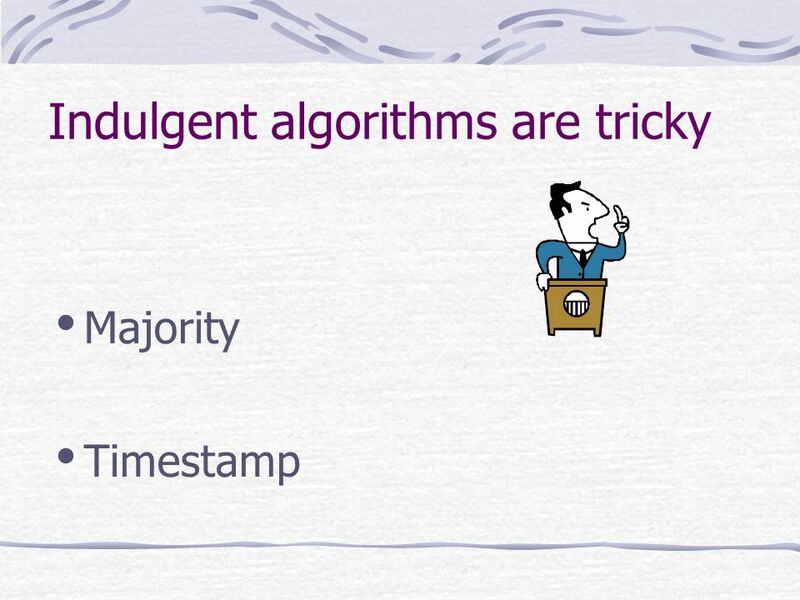 6.852: Distributed Algorithms Spring, 2008 Class 7. 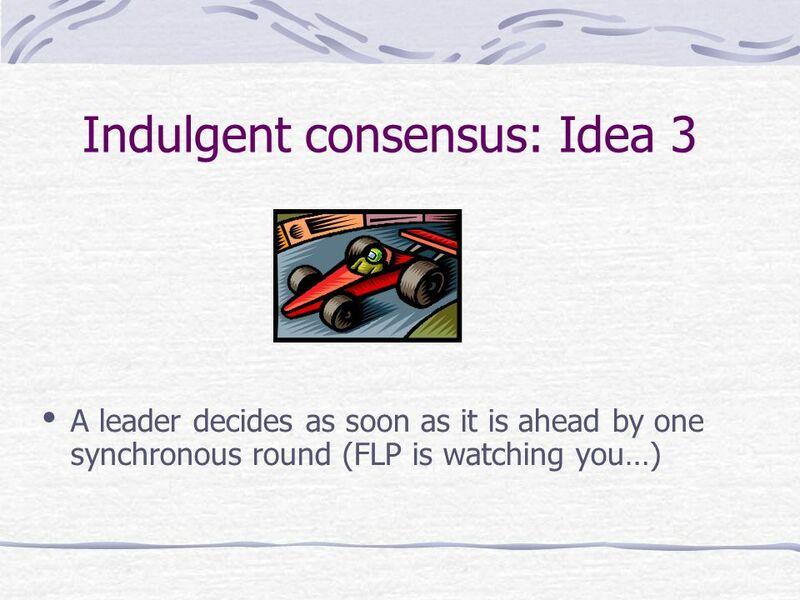 Failure detector The story goes back to the FLP’85 impossibility result about consensus in presence of crash failures. 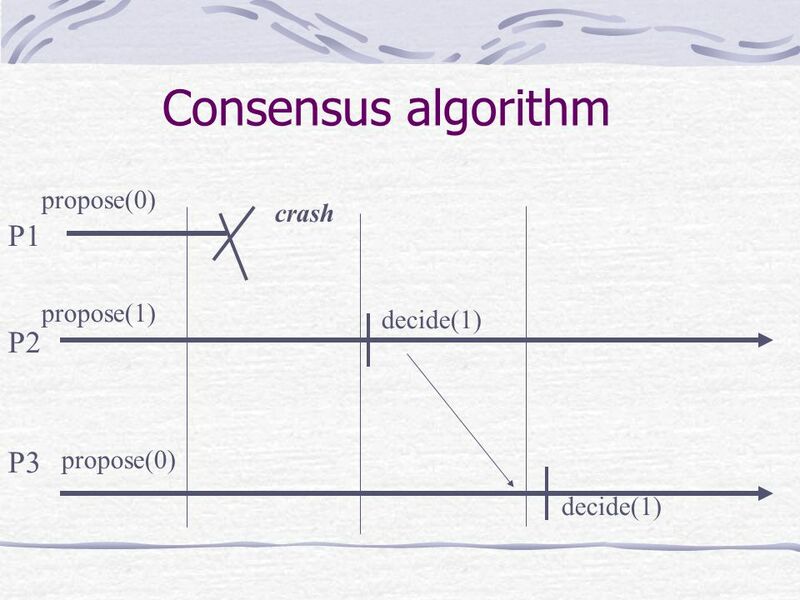 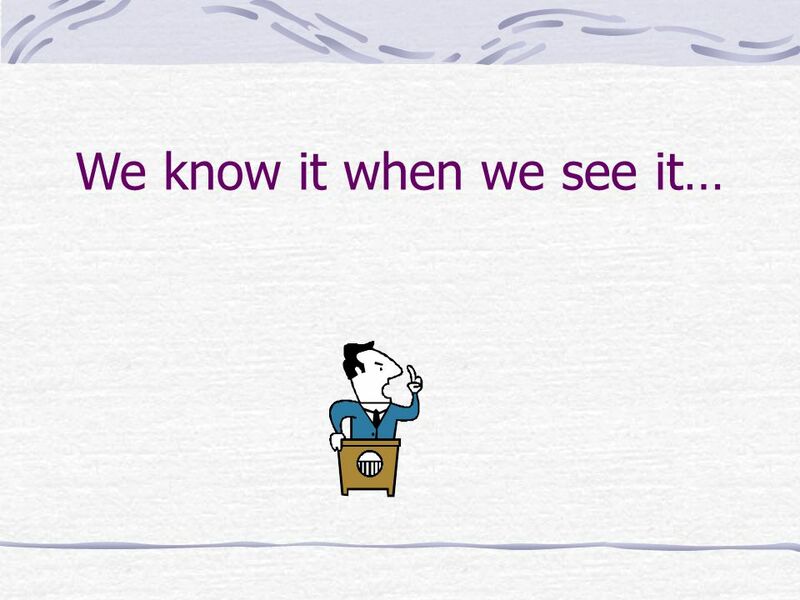 If crash can be detected, then consensus. 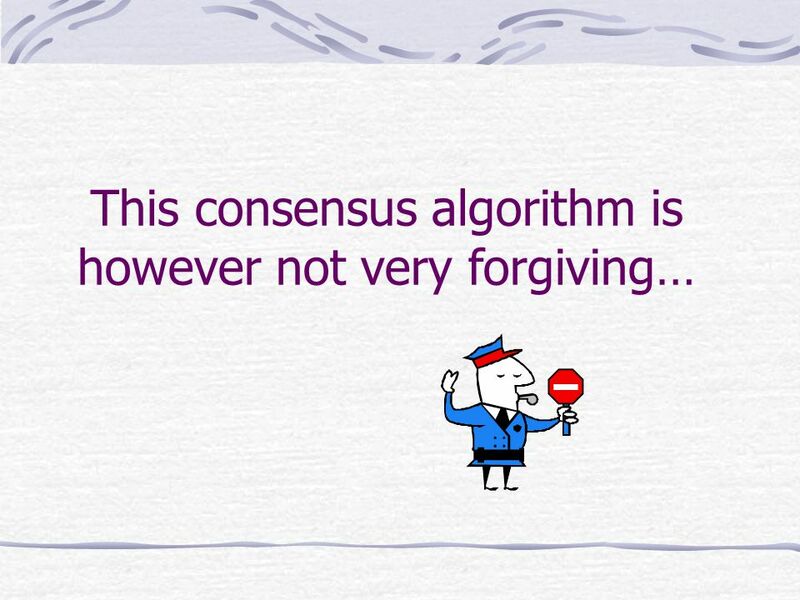 Consensus problem Agreement. 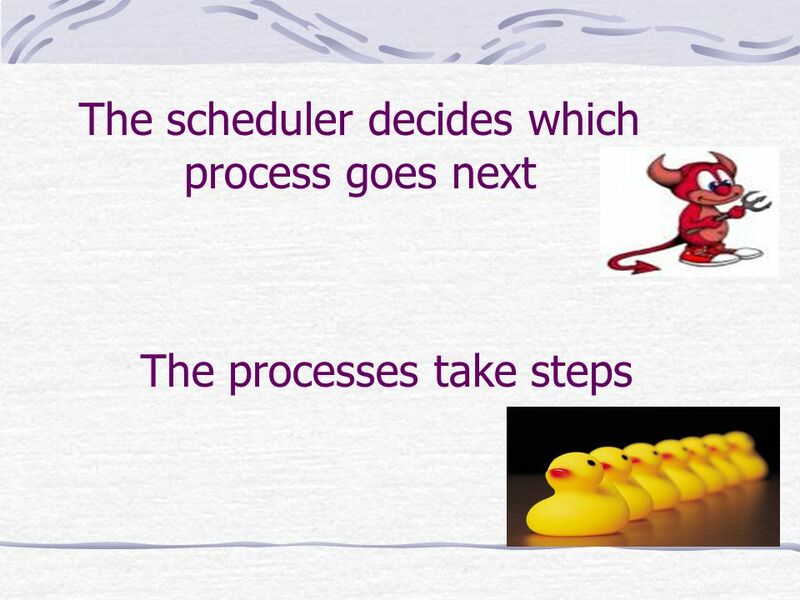 All processes that decide choose the same value. 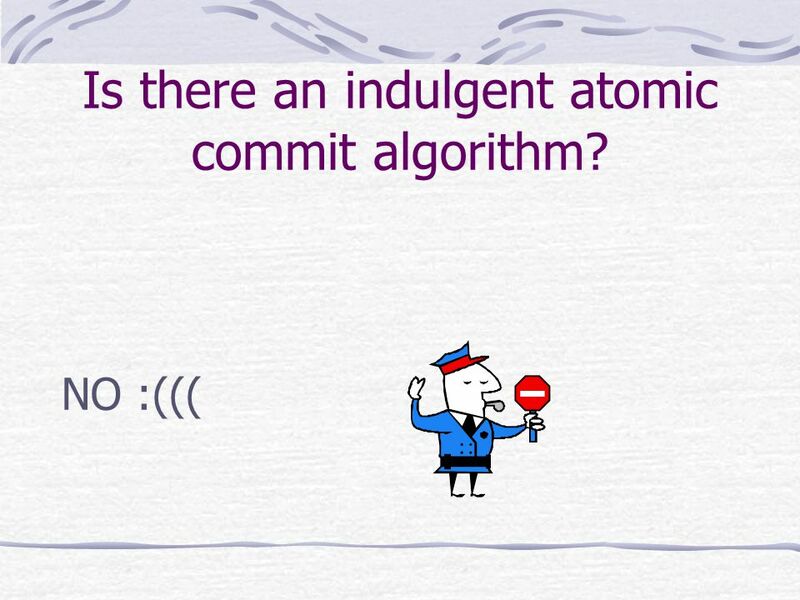 Termination. 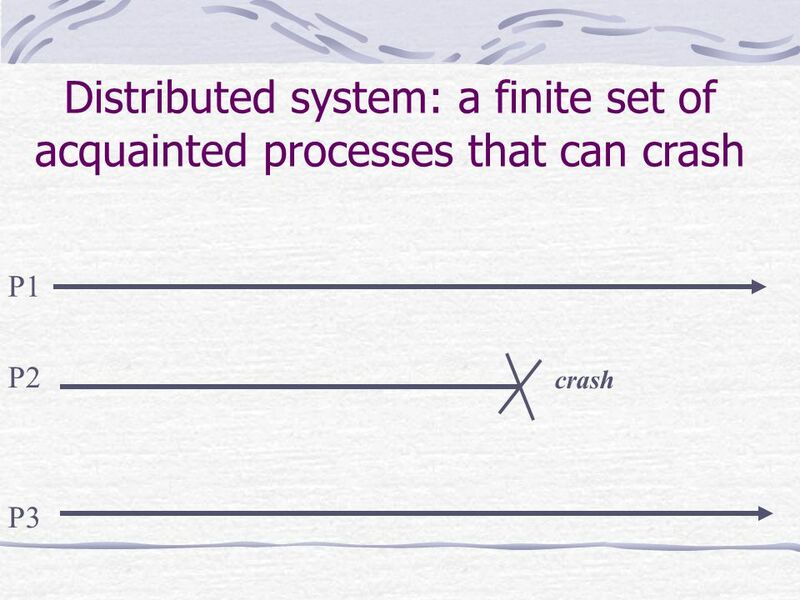 All non-faulty processes eventually decide. 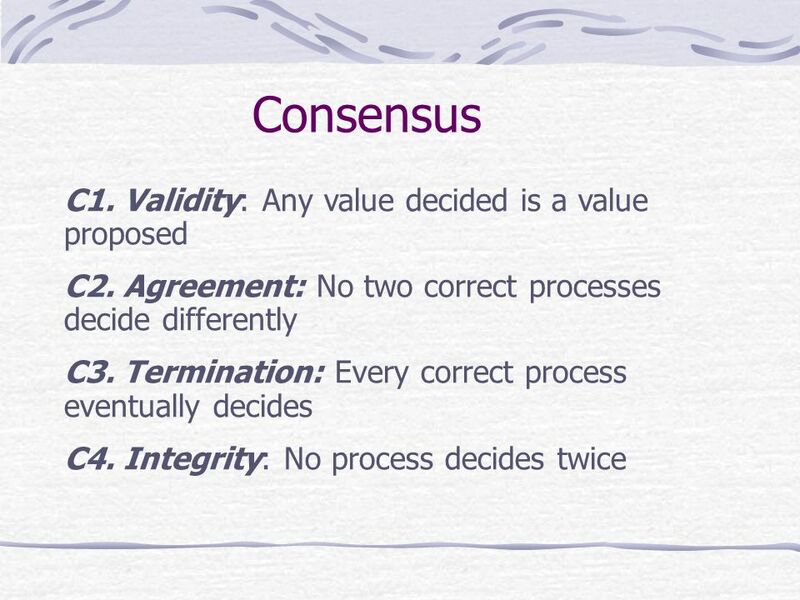 Validity. 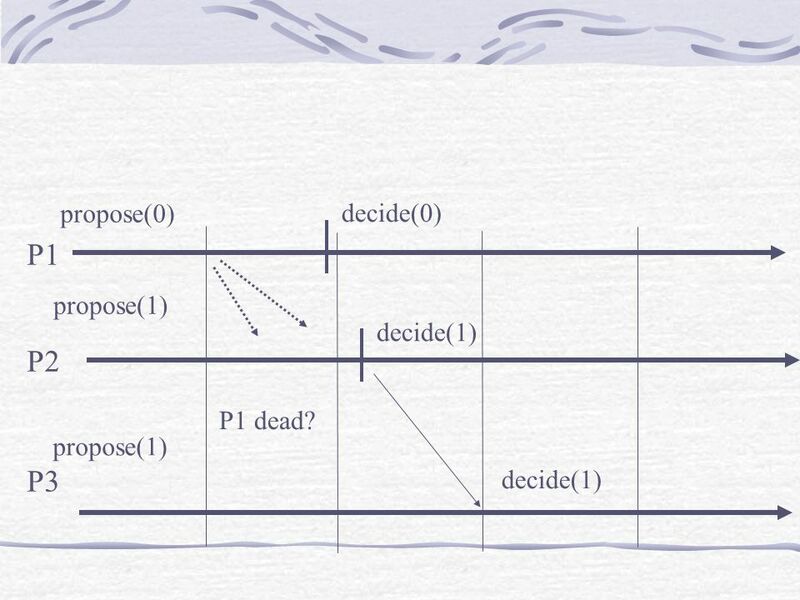 The common. 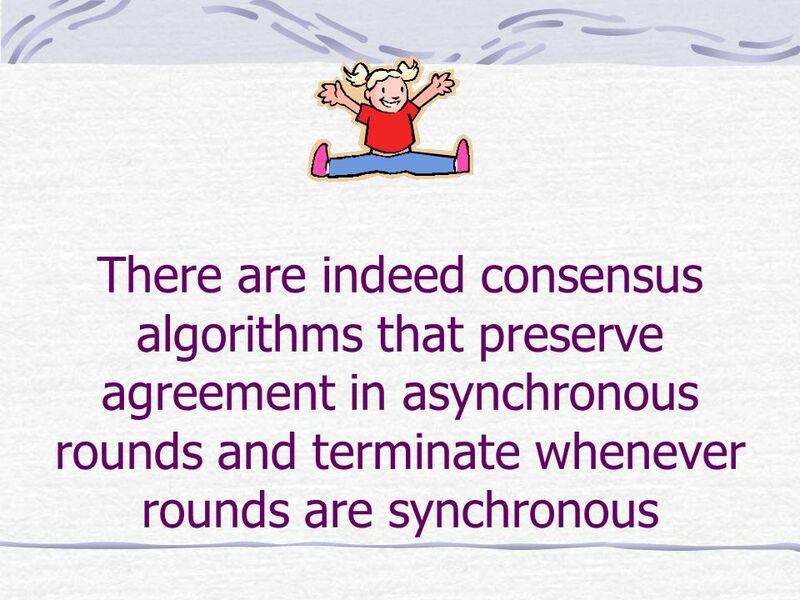 1 © R. Guerraoui Implementing the Consensus Object with Timing Assumptions R. Guerraoui Distributed Programming Laboratory. 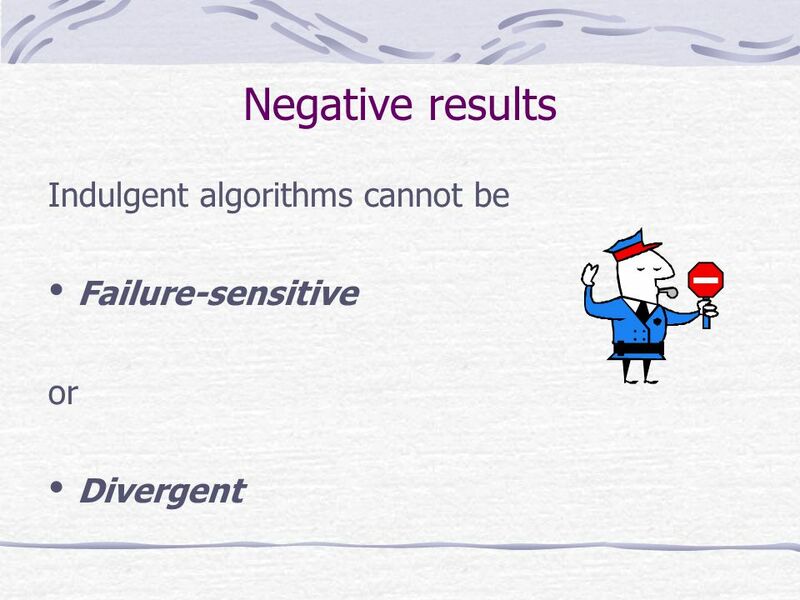 1 © P. Kouznetsov On the weakest failure detector for non-blocking atomic commit Rachid Guerraoui Petr Kouznetsov Distributed Programming Laboratory Swiss. 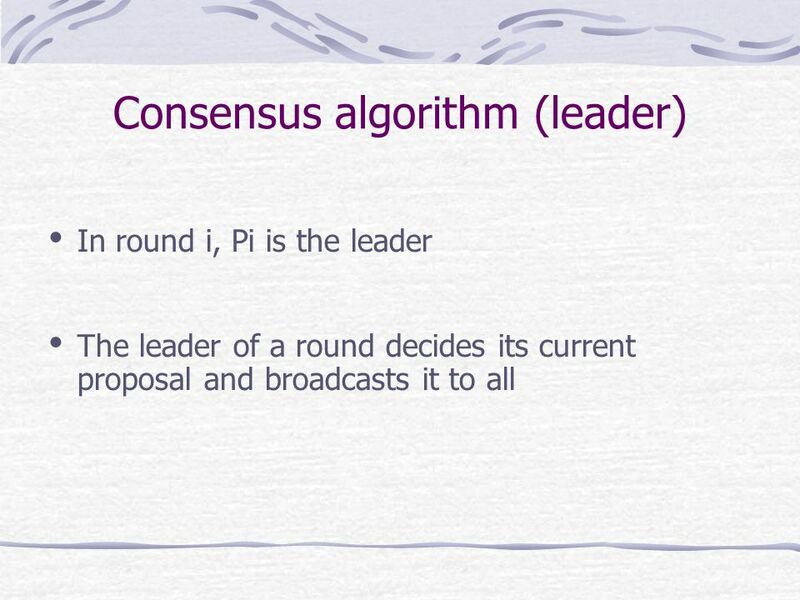 Consensus Algorithms Willem Visser RW334. 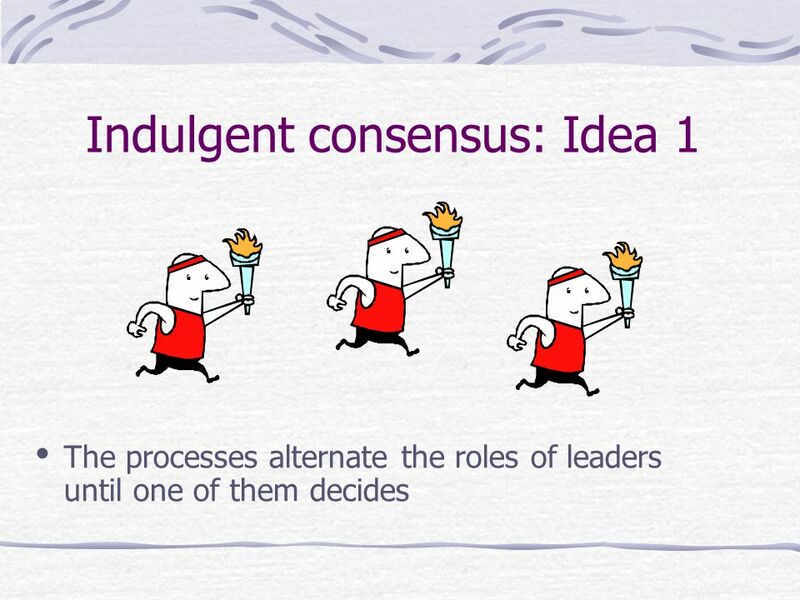 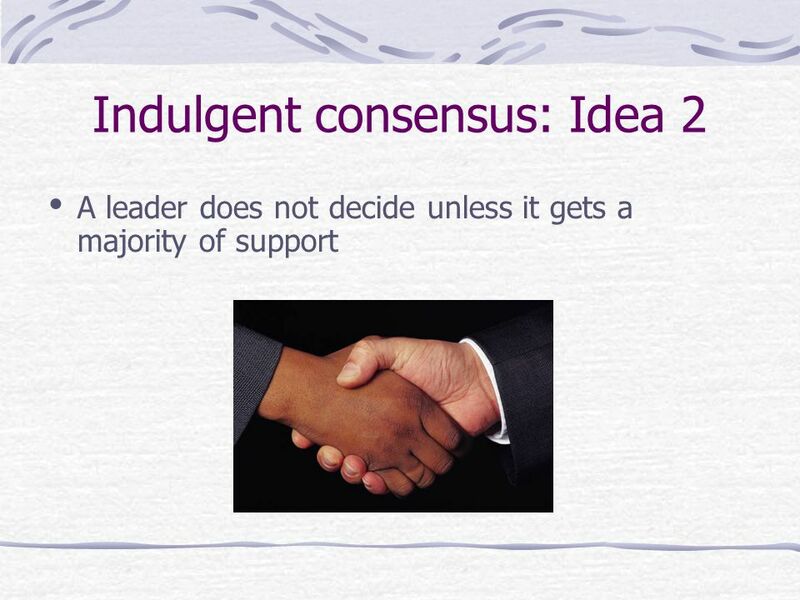 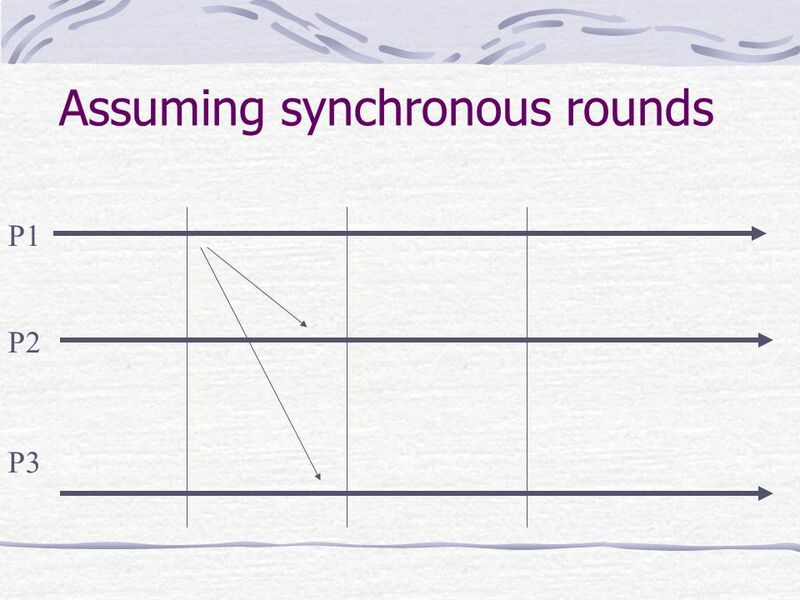 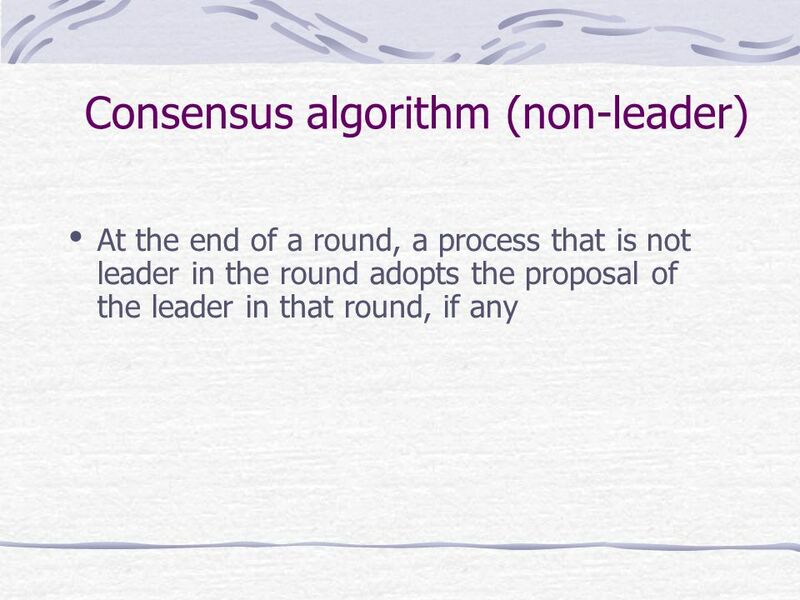 Why do we need consensus? 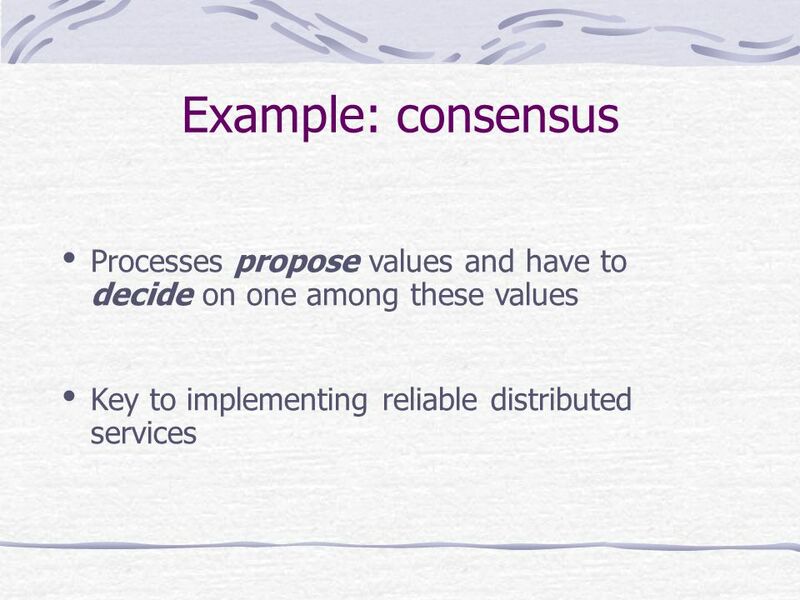 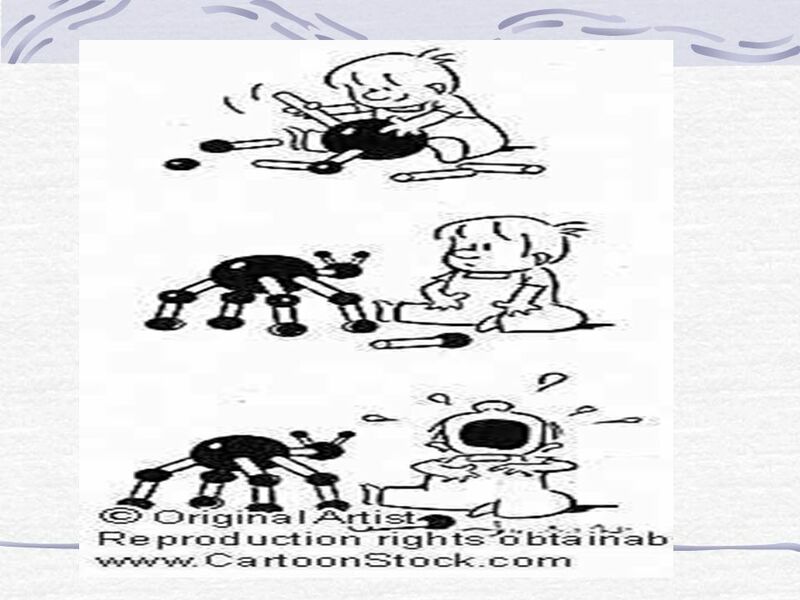 Distributed Databases – Need to know others committed/aborted a transaction to avoid.